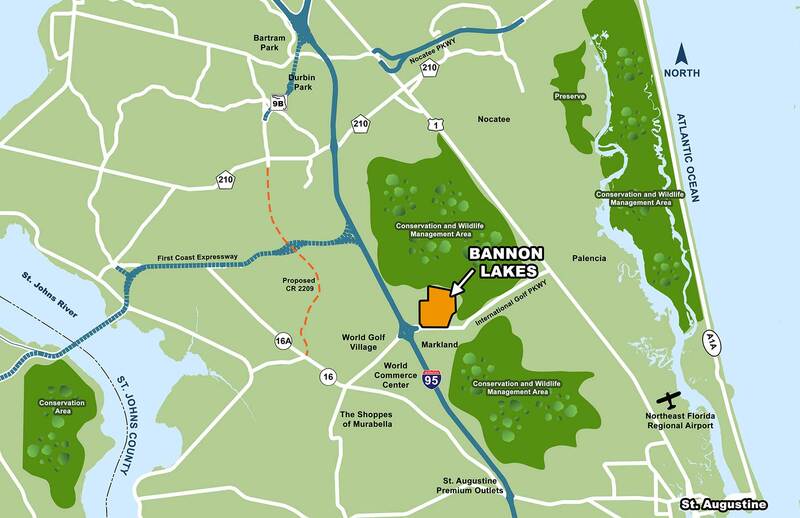 Bannon Lakes is conveinantly located only half a mile from I-95 bordered by 20,000 acres of pristine preserved land. It is a centralized area in high demand with a surge of growth. Located within the St. John’s County school system, one of the highest ranking in the state. Children living in Bannon Lakes will attend Palencia Elementary School, Pacetti Bay Middle School, and Allen D. Nease High School.